Everybody knows how to create an arc in AutoCAD. If you need to draw an arc with specific length, do you know how to do it? 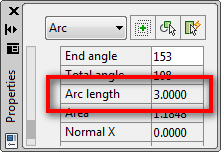 See this tip how you can create an arc with specific length! 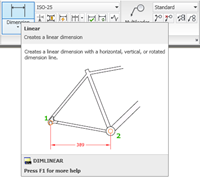 Align is often overlooked by many AutoCAD users. Instead of using move, rotate, and scale separately, you can do it at once using this tool. As Robin Capper said, it’s a forgotten AutoCAD hero! See the animation how to use it in Robin’s post. We use linetype to control the object appearances. It can be dashdot for center lines, dashed lines for hidden lines, etc. Sometimes we have a hard time to control the linetype scale. And we can’t see the linetype as we expected. It is not that difficult actually. See this tip: Controlling Linetype Scale is as Easy as 1,2,3! When you use modifying tools, you need to select objects. Selecting objects sometimes can be tricky, especially in quite a complex drawing. This tip have 10 ways how you can use the object selection. Useful for beginners, and some methods might be missed by advanced users. See the complete list! Do you need to create an angular dimension that shows angle larger than 180 degrees like below? 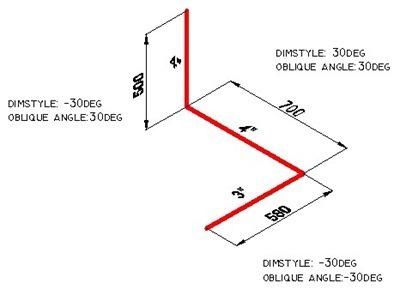 You probably have found that you can’t create dimension with angle larger than 180 degrees after selecting those two lines. You can actually… You can create it by selecting the lines’ vertex. Read more, and see the animation how to do it here. MATCHPROP is a great tool to match object properties. I used to draw everything and match the attributes later. It was quicker sometimes (but I won’t recommend you). The most obvious is when we get a drawing that is created with different standard. Sometimes we want to match only some properties between objects. Many of us don’t realize that we can choose which properties to match. I found this a couple years ago, quite late I guess. There is See the options below. Read the complete tip here. 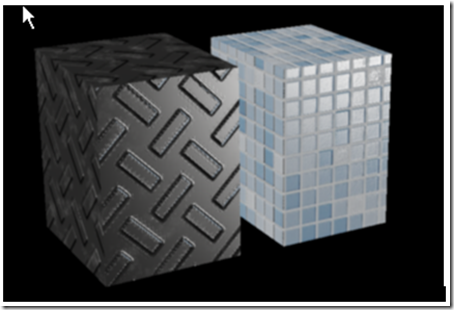 We can create and use tables in AutoCAD almost as powerful as in Microsoft Excel. We can also use formula and do simple calculation. But do you know that we can use the value from cells in other table? See the detail article in JTB World by Jimmy Bergmark. Block attributes is a nice tool to have. We can use it to preserve text style and size as annotation block. Drawing title and title block is a good example. The problem is when we need it explode it somehow, we will loose any information we put in the attribute. To preserve the values, do not use explode. Use BURST instead. Hyperlinks are very useful to provide information for your objects. You can link any object to the manufacturer/support website, technical support email, specification documents, etc. See the tip how to reference to objects using hyperlink here. JTB World blog also has a good basic tutorial how to use hyperlinks. They even write in very detail tip how to extend the capabilities. You can refer to a specific page in pdf, specific sheet and cell in Excel, etc. Find out the details in this page on JTB World Blog. 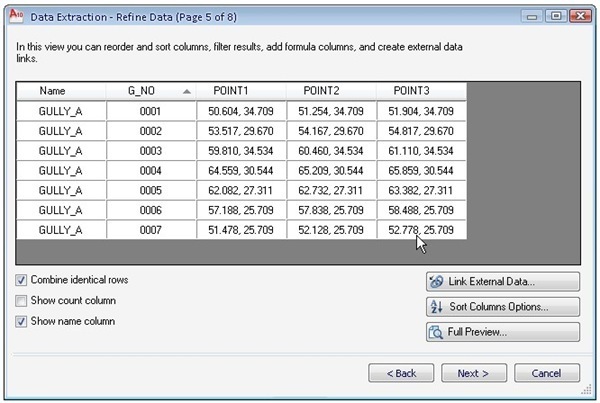 Murray Clack also gives a tip how you can use hyperlinks to navigate between paper space and model space. See tip no. 12 here. Old AutoCAD version allows you to snap to hatches. In later version, this is disabled by default to optimize performance. However, if you want to enable this, you still can turn it on in drafting settings. This behavior is controlled by OSOPTIONS system variable. Read more here. Do you need to draw lines using coordinate from excel file? The best application to do this is Civil3D or other site modeling software. However, it doesn’t mean that you can’t do it using vanilla AutoCAD! Read the details in Shaan Hurley’s Blog. You might made a mistake and want to change the text case… either to lower case or upper case. Do you need to re-type it? No way! It is easy to do. Right click in the editor and select the CHANGE CASE option. Thanks to Brian for the tip! Tip 13. Group When You Gotta Keep ‘Em Separated! If you need to modify object together, selecting them could be tedious. Especially when your drawing is quite complex. Block is an option. However, working with blocks mean that we need to edit in as a whole. Group might be more appropriate for this purpose. There are some benefits that you can get by using groups when you think block is not the right solution. See below. Block will only allows you to have one grip point, unless you create dynamic block. Groups will maintain the original objects’ grip, but you can easily select them in one click. See Brian’s tip about group in this article. And that is a funky title Brian! Do you work with viewport and layout? Paul Munford shares eleven great macros to make you even more productive with viewports! Read all the eleven killer macros here. 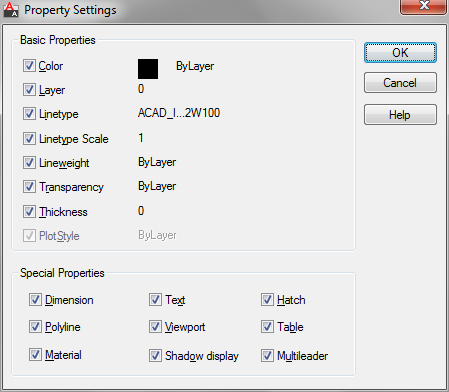 AutoCAD now allow us to use multiline attributes. This of course will take many advantages from multiline text (not all), not just using simple single line text! Now we can use text mask. Now we can create stacked text in attributes. Note: To enable stacking in block attributes, we need to change the system variable ATTIPE to 1. This tips was submitted by Murray Clack in our contest before. Do you ever have problem when dimensioning when the objects are staggered? Using DIMALIGNED can’t do this. A great tip from Murray mention that we can use DIMROTATED. See the comparison between DIMALIGNED and DIMROTATED below. There is no documentation or toolbar about it. It might be forgotten, but I’m sure you will find it really useful! This tips was submitted by Murray Clack. OK, you know what are fillet and chamfer for. Do you know that we can use fillet and chamfer to quickly modify objects? Trim and chamfer can be used to quickly create a corner. Use 0 as the radius (or chamfer distance). They will extend or trim the lines. Hold [shift] to override the radius/distance to 0 temporarily. The method above will join the lines as polyline, if one of them is a polyline. 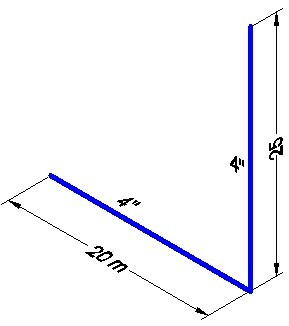 Use fillet to create arc to close parallel lines, regardless on the radius defined. Do you hate quick properties palette? Don’t! I know that many users immediately turn it off because it makes AutoCAD slow and when the palette appears, it can block your view. However, you should consider using it after read this tip. You can use it to quickly align texts using quick properties palette. See this nice tip on CAD Forum. Another reason to use quick properties palette. We can use it to quickly filter our selection. Orhan Toker shares this nice tip on Daily AutoCAD. Do you need to create a line that has multi color like below? It looks impossible, but yes you can make it! A nice trick by Vladimir Michl. See how to do it here in Xanadu! Do you need to convert your splines to polyline? The easiest way is if you have express tools installed. You can use FLATTEN to quickly convert them. However, there are more ways if it fails. See the other ways to do that in CAD Panacea. This is a challenge for me before. I tried to create a circular railing. In elevation view, it should be getting tighter like below. The solution is quite simple. But it’s a boring repetitive task. 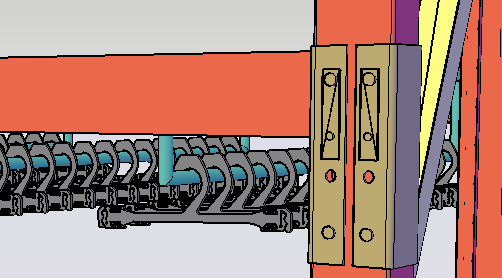 You need to create the railing panel as a block, then insert it with different scale on one axis. See the complete explanation here. Many people may not notice about this one. 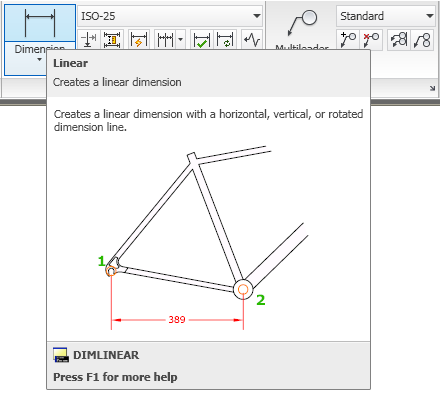 See the dimension arrow in the isometric drawing. It doesn’t look right. It suppose to look like below. AutoCAD is a very unique application. It has different way to use shortcut. It has different way to ask input from the users. While other application use dialog box, AutoCAD use command line. And selecting objects is different to. 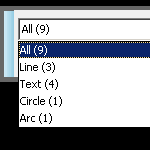 In most Windows application, when we select a new object, then the previous selection set will be cleared. We need to hold [ctrl] or [shift] to add objects to selection set. You may not use AutoCAD that much, so you want AutoCAD to behave like other application you have. You can set the selection behavior by changing the PICKADD system variable to 0. The default value is 2. I never like when I receive drawings with many of the properties are overridden. Especially if they are all are drawn in Layer 0! Sometimes I need to change the properties back to ByLayer. It should be easy to do, just select the objects and change it from the properties drop down menu… right? Not really! Objects’ properties within blocks will not be changed. We are lucky that we have this tool: SETBYLAYER. If you have problem using it, see the detail here. Purge is the first tool that come in mind when we need to purge our layer. However, some layers are persistent and can’t be purged. If this annoys you, then this tip can be the cure. See this tip how to remove the persistent layer in JTB World. Tip 30. Which Objects are on Which Layer? When we have a quite complex drawing, it is become hard when we need to check which objects are on which layer. Our hero to easily check this is Layer Walk or LAYWALK. See the animation how it works here. Mark W Kiker also write a detailed tip on his blog here. 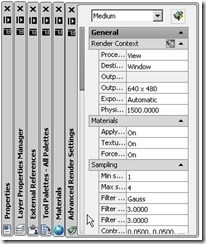 Managing layer standard sometimes very hard to do. We might miss changing the layer accidently before placing our dimension or hatches. If you do care about layering standard and want to prevent your user from making mistakes, Vladimir Michl shares this tip. This is 5 ways you can do to prevent the mistakes in Xanadu. Need to report all your layers and their properties to an Excel table? Don’t be afraid… It’s easy to do! You can use this tip by Jimmy Bergmark. Block is one of the most important productivity tools, I wrote many tutorials about it, even write an e-book to cover only this topic. Using reusable content is faster, easy to manage, and can be used for many automation later. What interest me is Robin Capper found that using block will also decrease your file size significantly. Thank you for sharing Robin. If you have more than one instance of your object, consider to use blocks. Especially in 3D, it can reduce file size significantly. If you already have a drawing that you consider as a standard, you may want to use the blocks from that drawing. 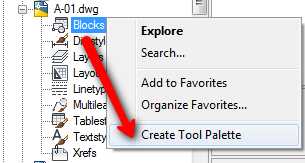 The easiest way to manage the blocks is using tool palette. So do we need to open the drawings, drag and drop each block to the palette? No way! You can use design center and create the palettes just with a few clicks! Open design center, find you file. Expand the (+) sign, right click on blocks. Do you notice the ‘create design center’ tool? Click it and you will have all blocks in that file in a palette! This is why you should consider to have drawings as block libraries. How can you update and re-path AutoCAD drawing reference files such as other drawing files, fonts, or plot configuration files after a path has changed? Reference Manager is the answer for this mess. See the details in Shaan Hurley’s Blog here! When we want to create a similar block from existing block, how do you do it? Explode it and recreate block with different name? You will have a lot of problem when you have block with many dynamic block parameters and actions! In dynamic block editor, we can save the block as different name. Yes, there is ‘save block as’ tool in open/save panel! Thank you for Murray Clack for the nice tip! Dynamic block can be very useful. There are so many tricks that we can do with dynamic block actions. 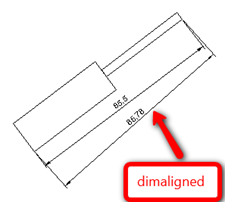 In this tip, you can use align tool for schematic drawings (P&ID, electrical schematic, etc). Not cool enough? Add mask so when you place the symbol, your line is automatically ‘trimmed’. When you need to move it, you don’t need to modify the line, because we never actually trimmed it! Read the tip here. See another magic with masking in door block here. Every body want to work faster. And probably using less key or tools. Have you used the [shift] key to speed up your work? You can access shortcuts, override tools, etc by using [shift] key. See the common 6 [shift] key combination here. The most powerful shortcut in AutoCAD is the command alias. You simply need to type L then [enter] to activate line. C for circle, etc. If you are interested to see the complete list of the command alias… or may be want to customize it, you can see and edit your acad.pgp file. See how you can see and manage this alias commands. Almost all AutoCAD users (99% I believe) know the AutoCAD pgp shortcut. At least how to use it. 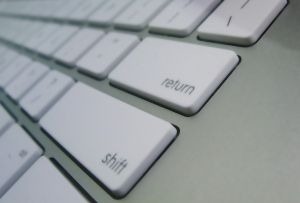 But do you know the shortcuts using function keys (F1 to F12), using [ctrl], [shift], or [alt]? CADForum has the list. See the AutoCAD shortcuts list here. If you new to AutoCAD, and saw how the veterans and AutoCAD ninjas using the command line, you probably want to do the same. The problem is AutoCAD has so many commands and system variables. Someone told me it was like 900 something. The good thing is, most command in command line also use similar name in ribbon. Then we can cycle to find the tool. For example, you want to create a rectangle. You tried to press R [enter], well it’s not the right one. Neither is RE. No need to guess like that. Enter the first (or several) character and press [TAB] to cycle between commands! Do you ever feel your mouse wheel is zooming to fast? You can change the ZOOMFACTOR system variable. The default is 60, higher value will increase the zoom speed and lower value will decrease the speed. 3-100 is the valid value. Thanks to Shaan who share it on his blog. And do you ever feel the wheel direction is going the wrong way? If you use Inventor primarily, then you want AutoCAD to behave like Inventor, not the other way. I know you can reverse Inventor wheel. 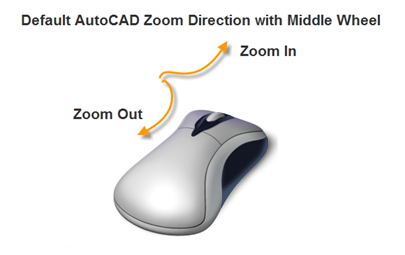 But you can use ZOOMWHEEL to control this behavior in AutoCAD. Shaan Hurley shares this tip in Between the Lines. Autodesk has introduced palettes in AutoCAD. The advantage of using palette is, you can change the value on the fly, without having to click OK and close it like in dialog boxes. 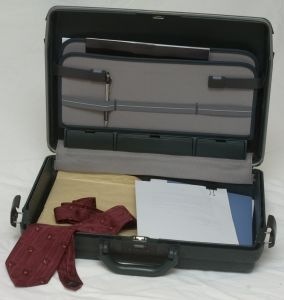 It is much easier to use, and you can always let it open and put it somewhere on your screen. The problem is having all the palettes open will take a lot of screen space. This tip will share how you can optimize the palette placement. So you can have the advantages without sacrifice your screen space. Read the detail here. Workspace is very useful when you need to work with different environment. Or at least when you need to set your own interface, template, etc. 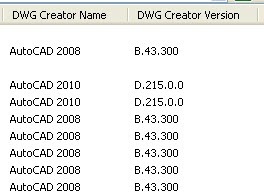 Since AutoCAD 2010, Autodesk introduced Initial Setup. This is a wizard that you can use to easily setup your settings. What I love the most about initial setup is we can easily define our template and industry. Read about initial setup in Brian’s blog. Tip 46. Pin to Make It Stick! Do you have favorite files or favorite tools? You can make your favorites sticky in application menu or other part of your screen. See the pin icon? If you like it, then pin it! Brian shares this tip on his blog. 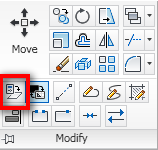 When we open a new AutoCAD drawing, UCS Icon becomes available and will be locked at the origin. However, if the origin remains in the middle of our drawing, UCS Icon will disturb us as it will always be in the view. The solution is very easy… You can change UCSICON system variable to Noorigin. Try to see UCSICON properties too. You might like what you can change here. Since AutoCAD has ribbon, Autodesk introduce ‘extended help’ when you let your pointer a while on a tool. This is a great feature for people who just learn using AutoCAD, and when we want to know a quick explanation on a tool. For the veteran users, this extended help might not be so great. You might feel the tool tip disturbs you. See how Brian’s shares his tip to control this behavior. 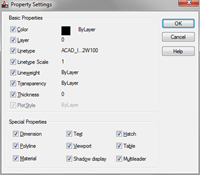 Layer Properties dialog box is now using palette. You can change anything without having to close the dialog box to apply the changes. However, if you for any reason the palette and want to use the classic dialog box… don’t worry. You still can have it. It’s all about system variable. See how you can control this behavior in Daily AutoCAD. Every application has shortcuts. AutoCAD might be has unique shortcut in command alias. But now we can use ribbon shortcuts that can be applied to applications that have ribbon! Microsoft Office applications have this shortcuts, and all Autodesk applications with ribbon also have it. See how to Maximize Your Screen and Speed Up with Ribbon Shortcut. If you have express tools installed on your machine, then you can see the system variable list and change the system variable easily. You can open a dialog box that show you the list, show you the current value, initial value, and the description about what it does. The nice thing about this tool is you can backup and restore your system variables when things go wrong! Read how you can backup system variables here. Tip 53. Cool Way to Open Your Drawing: Drag and Drop Your File! Sometimes I just hate to open files from dialog box. Some files are not easy to find from a small dialog box, so I need to find it from my Windows Explorer or doing search/find. It would be a waste of time if I have to point my open dialog box to that file location. So what do I do? Just drag and drop to open it! This is also useful if you have several application that can open the same file type. You can drag to application that you want to open it. See the other way to do it in this tip! Autodesk now allows us to modify objects using the sub-objects. We can use sub objects to quickly modify objects, either in 2D or 3D. To easily select the sub-objects, you can use the object selection filter. See how to use sub object selection filter and modify your objects here. Currently I and my colleague are trying to submit a project to develop a drawing system. It means we are going to create their reusable contents, templates, drawing standards, and some customization tools. Then here comes a question: How we can protect the tool palettes? See this tip how you can protect your palettes! Tip 56. Make Your Ribbon Panels Sticky! Having ribbon interface sometimes so annoying when we have to move to different tabs frequently. We can just tear off some panels I use frequently, and stick to home tab. See Shaan Hurley’s tip on AutoCAD 2010 Sticky Ribbon Panels. We are now living in 21st century (unless you read this in the next century). Most of us rely heavily on digital data. Also when we work with AutoCAD. The problem when we send our files to the others is sometimes we left our files behind. 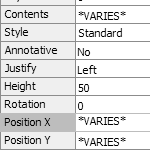 Either a reference file (XREF), plot style table, custom fonts, etc. Don’t worry, AutoCAD has the right tool to pack all files that relate to the drawing to a zip file, ready for you to send. You will not miss any files again! Read the detail here. If you are a surveyor, civil engineer, or architect, we need to draw in model space the real-world coordinate and orientation. However sometimes we want to rotate the drawing orientation to match the paper for plotting/publishing purpose. See this tips how to rotate your viewport in Xanadu. Do you get .plt or .prn file, and want to plot it? This is a tip on Xanadu how to plot your .plt or .prn files. 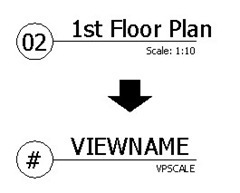 Do you need to present you drawing in Word or PowerPoint document? We need to create an image from the drawing. The common way to do it is by capturing the screen, but the image is not good enough when we place it. We want to have high resolution image and apply our plot styles. Have you ever try to plot it? AutoCAD has Publish toWeb plot drivers, so you can get JPEG or PNG format! If you need more file format, you can also add new plotter drivers, so you can get uncompressed image like TIFF, TGA, or BMP! Read the detail here. The image above was a regular drawing. I didn’t actually create a sketch, but we can manipulate the visual styles, so it looks like a sketch. See how to create the sketch here. 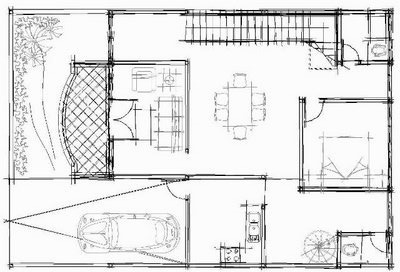 AutoCAD has developed further than just a 2D drawing application. The biggest advantage is when you use it as vertical product platform like AutoCAD Architecture. But in vanilla AutoCAD, you can also can impress people with the 3D capabilities. In AutoCAD 2011, you can show bump maps in real time. Shaan Hurley shows you how to do it here. 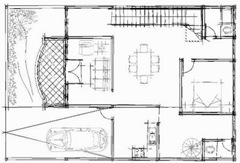 Again, AutoCAD can be used further than just as drawing tool. You can use the data and create reports such as schedules, set out points, part lists, and holes table. This is a post that list how you can use data extraction. Shaan Hurley also give an example to use data extraction for creating part list. Although DATAEXTRACTION can give very detailed information, sometimes you need to just quickly count your blocks to give an idea about your design. BCOUNT is the right tool for this. Brian Benton mention this tip in his blog. Text field is also a useful automation to report almost anything in your drawing. In title block, you can use title block to automatically show the plot date, file name, etc. You can also report area using field. Shaan Hurley wrote a nice tutorial about this here. 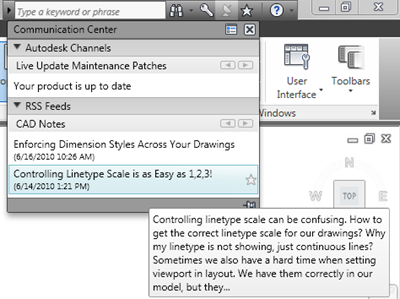 AutoCAD already has many linetypes. However, to fulfill your needs or to match local standard, you might need to create your own linetypes. If you have express tools installed, it is not hard to do. Read the complete tutorial here. This functionality only available for AutoCAD Map, Civil3D, and Raster Design. If you use vanilla AutoCAD, you can use this free utility. See the details and download it here. Need to translate your texts to other language? This is a tool that’s design to do that! See the details and download it here. 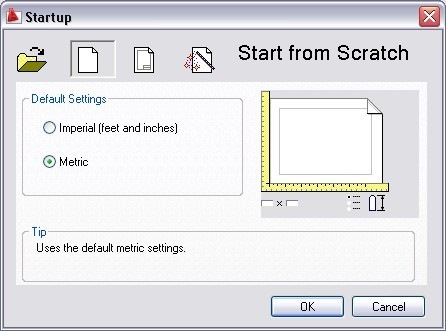 Do you miss the old AutoCAD startup dialog box? I love the startup dialog because we can choose our template before let AutoCAD create a new file. For the simplest template, we can choose metric or imperial. If you want to show this dialog box every time create a new drawing, set system variable STARTUP to 1. Every file has meta data information. The information can be useful to have a quick look before you actually open the file. You can set the windows explorer to show the meta data when you choose to view details. This is the advanced tip of exposing the file meta data. Further more, you can customize more information to show on windows explorer. Interested to see more? 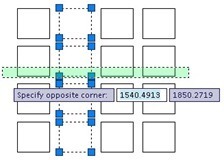 This is a very nice detailed tutorial how you can optimize this DWG properties. 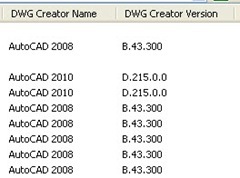 Do you have different AutoCAD versions in your company? If you do, one problem that you will find is the file version. You need to save it as to lower version. Sometimes you forget to do it, and your colleague can’t open it. To prevent that to happen, you can set AutoCAD to save the files to older version of AutoCAD, by default. In the file dialog box, select tools>options. 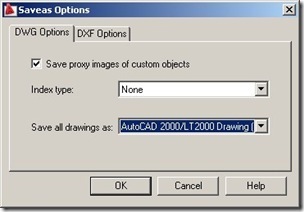 In this example, I set it to AutoCAD 2000. This is the opposite problem from tip 75. What if you have older version of AutoCAD, but you receive files saved by later version? One file might be easy, you can ask someone to convert it to old version. What it you have dozens, hundreds drawings? If you right click your mouse when using MTEXT, you will see a contextual menu that allows you to add predefined symbols. You can add your own symbols or text to that menu. To put your own symbols/text, you can use this AutoLISP code here from JTB World. Field is very useful in many cases. 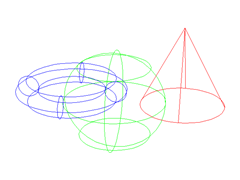 Many drawing and object properties can be shown by fields. However, you might need to create your own field. Brian write this step-by-step tutorial how you can do it here. Brian uses sheet set custom properties on his post. 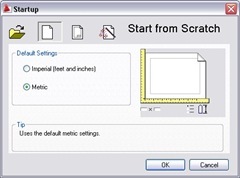 If you want to learn how to create a new AutoCAD command, this tip could be useful. This is not an advanced tutorial, but at least can give you a quick look how to do it. This tutorial use some simple macros, changing the current layer’s properties to ByLayer. See the tip here. Now that you know how to create a new command, how can we add it to contextual menu? We want to select objects, right click, and see the tool. If you want to know how to do it, read this tip here. Now you can create a new command on toolbar, new command on contextual menu. How about creating a ribbon panel? If you do love using ribbon, then you would like you have your new command on ribbon. See Brian’s tip how to create a ribbon panel. AutoCAD 2011 (and other Autodesk products) now use online help file as default. For some reason, you probably don’t like it. You can change the default help file to local help file. It is still using html file, but at least it always use local file. See How to: Set Local Help File as Default in 2011 Version If you still don’t like the html help file and want to use the old chm style, see the tip from Shaan Hurley here. This is a tip how you can use dynamic block and field in vanilla AutoCAD. You can easily place an annotation block to label your coordinate. It is very easy, and you only need AutoCAD to do it! This is quite popular tip in CAD Notes. This is similar with tip 83. The challenge here is having more than one set out points and report them from a block. The example is extracting set out points from a Gully. Having problem installing AutoCAD? Then you are not alone. Installing AutoCAD mostly is easy. But there are many prerequisite that installed before AutoCAD installation. Most of the installation failure happen at that stage. You may want to check everything before start installing AutoCAD. Or you can check this list when the installation fail. Read the installation check list here. Every year AutoCAD configurations get more complex. For example, one large jump in complexity happened in AutoCAD 2007 when Autodesk introduced Hardware acceleration. This is a check list of troubleshooting AutoCAD crashes that could be graphics related. See the information here on Between the Lines. If you don’t need to use global coordinate for your model location, then move your model closer to 0,0,0. You can also consider to draw your model at 0,0, and use global coordinate in master plan only. 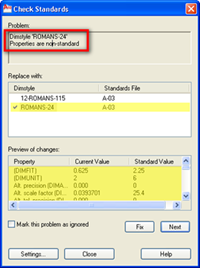 Place your model as external reference (XREF) using global coordinate in master plan. Another good workaround suggested by Dave Wolfe: We can draw the model at 0,0. Then create a saved UCS to define project location. Anytime you need to retrieve coordinate for project location, you can activate the saved coordinate. Sometimes ribbon is just broken and you will see only this text: The ribbon does not have any tabs or panels currently loaded. If you see that error, this is a tip how you can fix your ribbon in JTB World. Have you used your Workstation multi processor support for AutoCAD? Not sure? See how to control the system variable in Xanadu. If you feel your sheet set manager (SSM) has a performance issue, then this might be able to help. Read the complete tips to improve Sheet Set Manager performance. 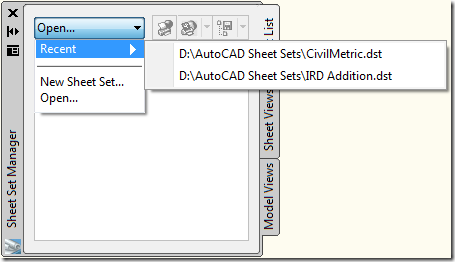 If you have problem getting rid of the AutoCAD sheet set from recent document list, try this tip. Have you ever find when you try to open or save file, you don’t see the dialog box? Instead of dialog box, you see the text below on command line or dynamic input. The problem is system variable has changed. Type FILEDIA in command line then press [enter]. Enter value 1 then [enter] again. You should now see the open file dialog box back to normal. 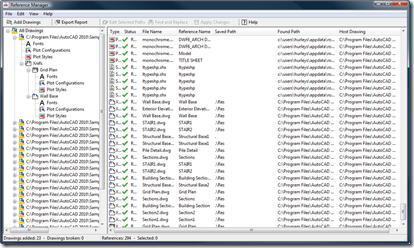 AutoCAD can open multiple files in one AutoCAD session. We expect that AutoCAD will open another file in opened session when you double click a DWG file in Windows Explorer. But what if every time we double click a file in explorer, it will open the file in another AutoCAD session? 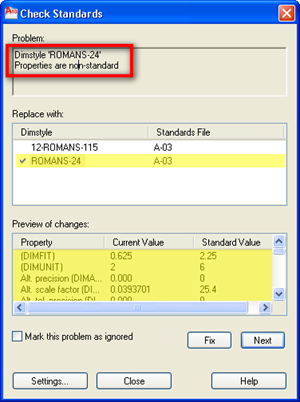 To make AutoCAD open the file in one session, you need to set the system variable SDI to 1. If it still doesn’t work, try this tip from a discussion in CADTutor Forum. AutoCAD 2008 introduced to us BACKGROUND PROCESSING for plotting. The theory behind it is that it will free up your computer while printing so that you can continue to work. It sounds good. I like it when I am publishing something or batch plotting through the sheet set manager. The problem is that when you print behind the scenes, it takes longer. It takes longer because the computer is processing the printing, and processing your work. So I tried it. I switched it off and WOW!! The old printing speed returned. I have kept it off and my printing is much faster. See the complete tip from Brian how he optimize the printing speed. Do you ever find your mouse pointer not moving smoothly and jumping all around? If you take a good look, the pointer is actually snapping to drawing grids, and jump to the next grid intersection. You probably turn on the grid snap by accident. Press [F9] or turn it off from drafting settings. Do you update (I would say UPGRADE, but new doesn’t guarantee better) your AutoCAD software regularly? Or do you update it in intervals? Regardless, it can be difficult to know and understand what the new version has to offer. There is a built in tool inside of AutoCAD that will help you know and understand the new features and improvements in AutoCAD. It is called the New Features Workshop! The last one. We spend most of our time using AutoCAD (well, some of you do). When we get busy, we miss the updates from our favorite CAD resources. Don’t be! The good thing about web 2.0 technology is RSS. We can see the updates using RSS readers, or even AutoCAD! If your computer connects to internet, do you notice the pop up from info center on your right screen? It is the updates from predefined resources! See how you can Use Info Center to Notify RSS Update. Any way you can send me this tip, when I click on the “Full explanantion” the website cannot find it. All tips are helpful to me and very important for beginner. Thank you so much! Thank you for the heads up. I already updated the link. All the AutoCAD tips are useful to me and all of them are importance for a beginner and I am a beginner in AutoCAD and all these tips are going to help me for learning the auto cad your work will be appreciated. This has been fun exploring these tips and discovering new tools. Then I realized that the post was from 2010 and many of these tips are no longer accurate. It would be fantastic if you updated them to 2017 or at least 2015 versions as the interface and many of the commands have changed or been revised. rather sure I’ll learn plenty of new stuff right here! Wow very well….i like it..
i think now upload the 200 tips….